HOMECOMING 2019 HELP. If you are part of the Class of 1969, or any class ending with a “4” or “9,” we need your help. 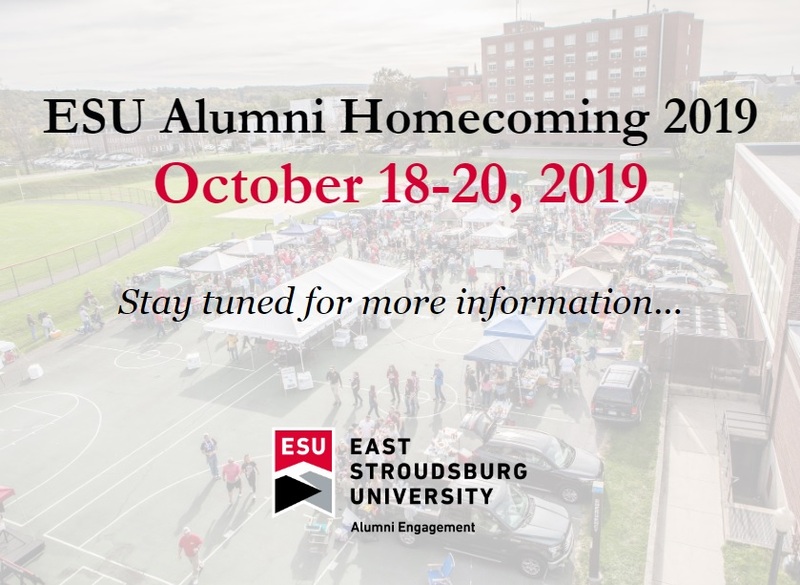 Please contact the Office of Alumni Engagement to assist with planning your class celebration for Homecoming Weekend 2019 being held October 18-20. Email ljohn2@esu.edu or call (570) 422-3194 for more information.